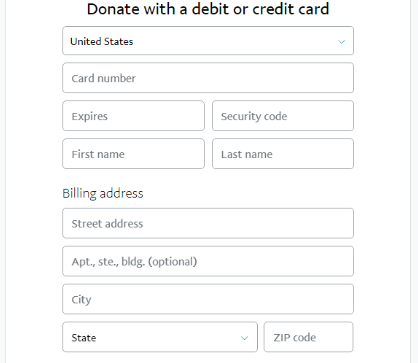 To contribute a tax-deductible donation online, you may use this paypal link. Donor’s and Donee’s names will be recognized in the Peabody Council on Aging monthly newsletter (Tips and Topics). 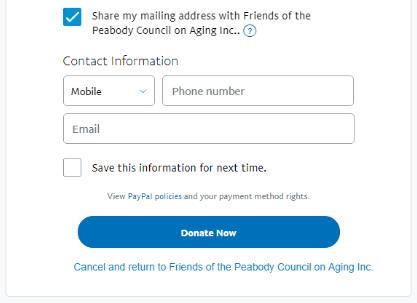 The purpose of the Friends of the Peabody Council on Aging is to seek funds and donations through membership, fund raising events, donations and corporate gifts to financially assist the Council on Aging in providing services to the elderly Peabody residents served by the agency. 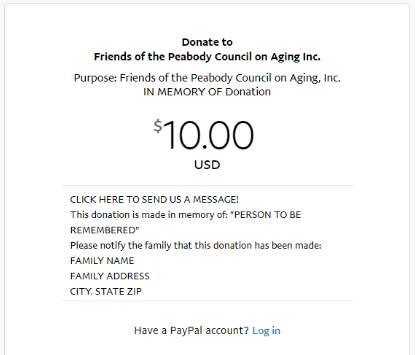 Donations may be made to the Roger B. Trask Adult Day Program/City of Peabody to remember a deceased individual or to honor an individual or group. Donations will help to fund the Scholarship and Activity Programs in the Trask Center. Envelopes are available at the local funeral homes and at the reception area at the Torigian Sr Center. All donations will be listed in our Tips & Topics Newsletter. The Roger B. Trask Adult Day Program/City of Peabody is a registered 501(c) (3) non-profit organization dedicated to assisting senior citizens and their families. Our ability to serve the Peabody community is a result of our members' generous donations of time and money, but we can't do it alone. Your support is needed to continue our pledge to our local senior citizens and the community.